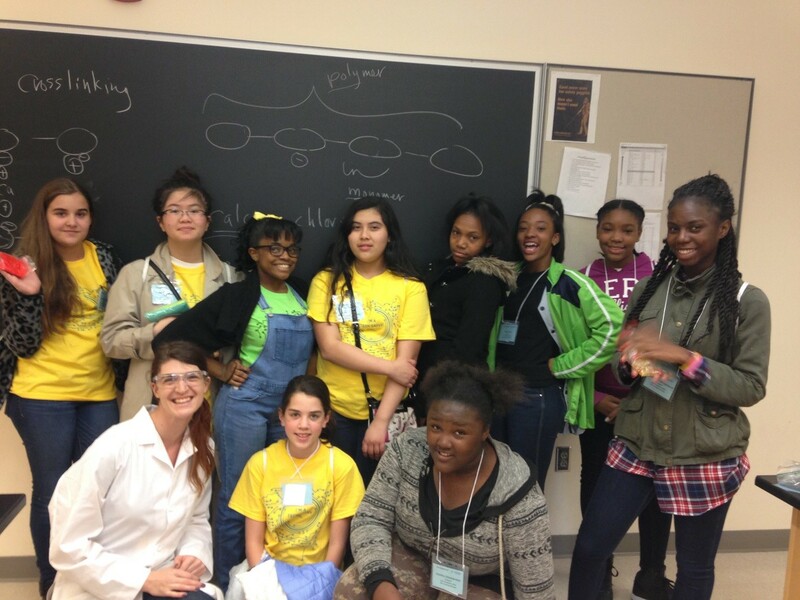 Each year 200 girls from local middle and high schools gather at the UNCG campus to participate in “Triad Tech Savvy Girls”. This free event, sponsored by the American Association of University Women and the University of North Carolina Greensboro, is a herculean effort that includes over 100 volunteers. Girls get the opportunity to see themselves as scientists as they participate in hands on experiments, events, and workshops. The photo above shows UNCG student Lindsay Caesar (in the white coat) who designed and conducted a hands on experiment with polymers for the event.